In 2011, I published one of the first research papers that demonstrated how small business wellness can impact the health of employees working in a small business. The wellness program offered at Lincoln Industries was evaluated for three years. During that time, employees were able to significantly reduce systolic blood pressure, diastolic blood pressure, and improve flexibility. Despite having just 440 workers, nearly all Lincoln Industries employees participated in the wellness program. This company was able to create a worksite culture of health that resulted in a healthier, more productive workforce. Not content with these results, we did another study that compared the health of these employees with the health of other employees in the Lincoln, Nebraska area. This second study was a way to compare the health of the employees of this small business with similar employees of other businesses that did not have wellness programs. It was kind of like comparing one company to the entire community that surrounded it. 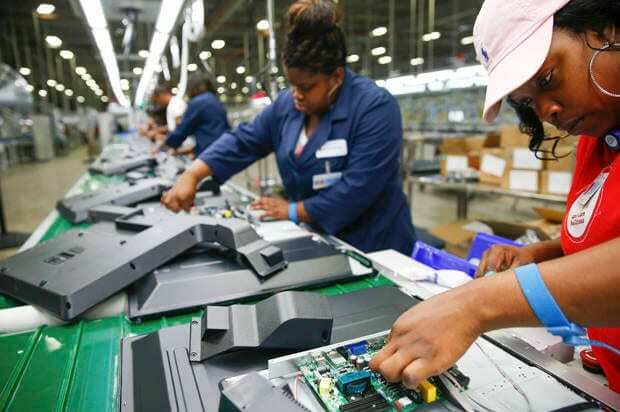 Physical health, mental health, and healthy behavior were significantly greater for Lincoln Industries employees than they were for other employees living and working in the same community. This study only strengthened the argument that wellness programs can be effective in small businesses. In a third paper we completed a year later, we were able to study the WellSteps small business wellness program solution that had been implemented in five different small businesses. 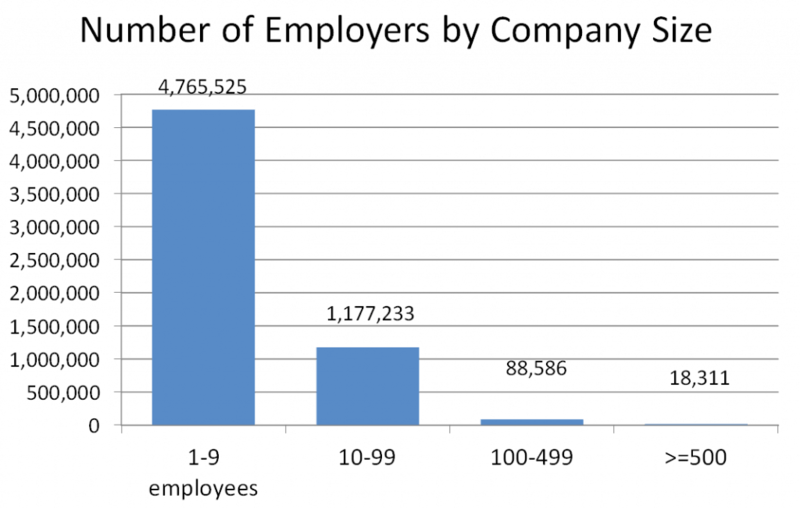 Three of these companies had fewer than 50 employees. The results that we published were impressive. Despite the fact that each of these five small businesses was located in different parts of the country and within different industries, they were able to demonstrate positive wellness outcomes. Exercise and dietary behaviors significantly improved across the five companies. Significant improvements in health perception and life satisfaction also resulted. These three studies were some of the first ever published on the ability of wellness programs to improve the health of employees of small businesses. For many years we have had evidence that wellness programs in large corporations can be effective, but now we have evidence that small businesses can also benefit from having a comprehensive wellness program. This research give us confidence that the wellness solutions we have been offering to small businesses are, in fact, working. We now know that a well-designed wellness program can improve employee health behaviors, lower elevated health risks, and improve the overall health of small business employees. There are a lot of reasons why wellness programs can not only function in small businesses but can indeed thrive in these companies. These small business case studies give us a glimpse into a future where small businesses start using wellness programs as a core business strategy. For decades, large corporations have been offering to help their employees stay healthy by offering comprehensive wellness programs. 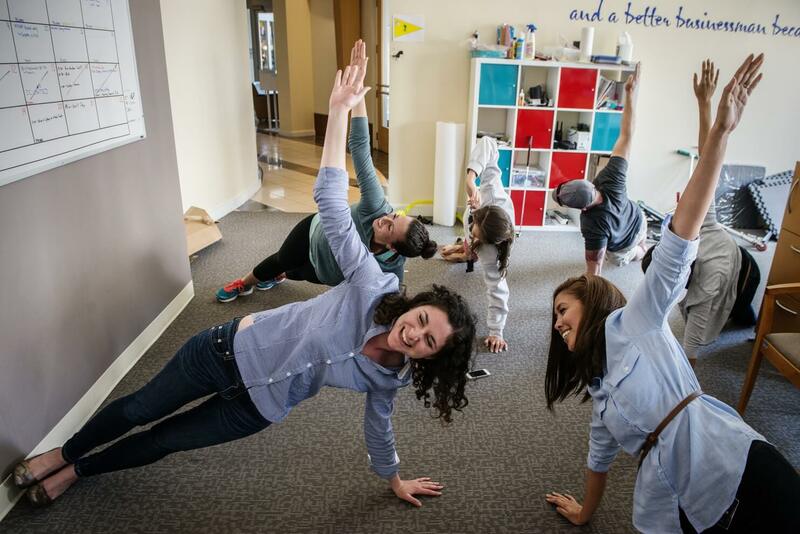 Today, small businesses are the new frontier of workplace wellness. Most small businesses are still family-owned and even if they are not family-owned they still behave like families. In a small business every employee is important. “We’re family” is a common way small businesses describe themselves. Because they act like families, employees have a sense of belonging in these companies. A few years ago Kaiser Permanente hired WellSteps to train all of its insurance brokers on wellness best practices. As a reward for completing the training each broker could offer the WellSteps small business solution to any of their groups. 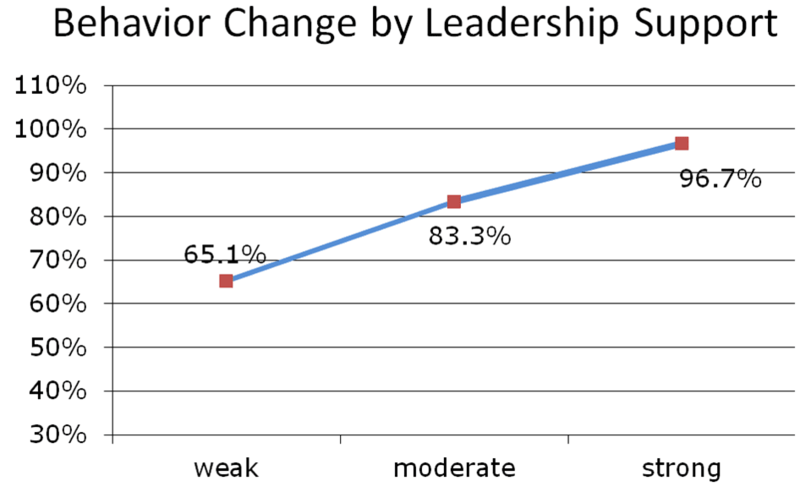 We carefully measured leadership support and carefully tracked wellness program participation and individual behavior change. 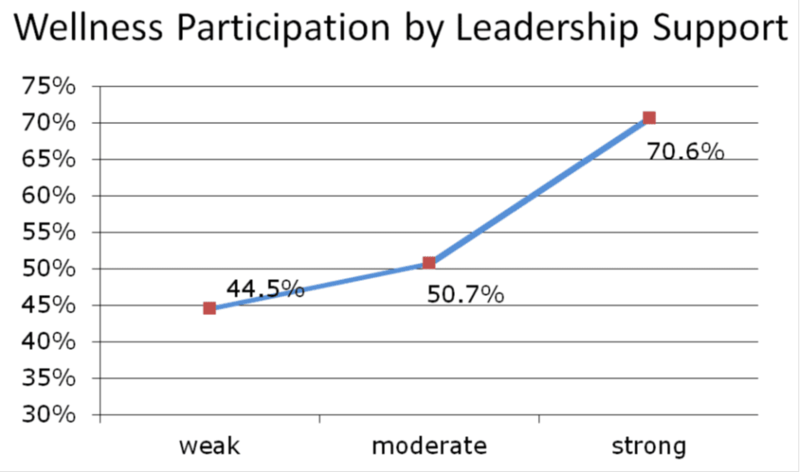 Small businesses have many unique characteristics and leadership support for wellness can vary greatly between groups. Show me a company with a functioning and strong wellness committee and I’ll show you a company that is going to experience positive wellness outcomes. On the flip side, small businesses that have poor wellness leadership will struggle to obtain positive wellness outcomes. Getting leadership support is tricky. Many leaders claim they have valid reasons to not support wellness. In this brief video, Dr. Troy Adams explains how to help leaders overcome many of the barriers they face when trying to support wellness. Absenteeism is defined as being absent from work and still getting paid. This only impacts salaried employees. Hourly employees don’t cost money when they are absent because they don’t get paid. But any absenteeism in a small business is a big deal. Absenteeism in a large business is not as painful. With more employees the absence is more easily absorbed. 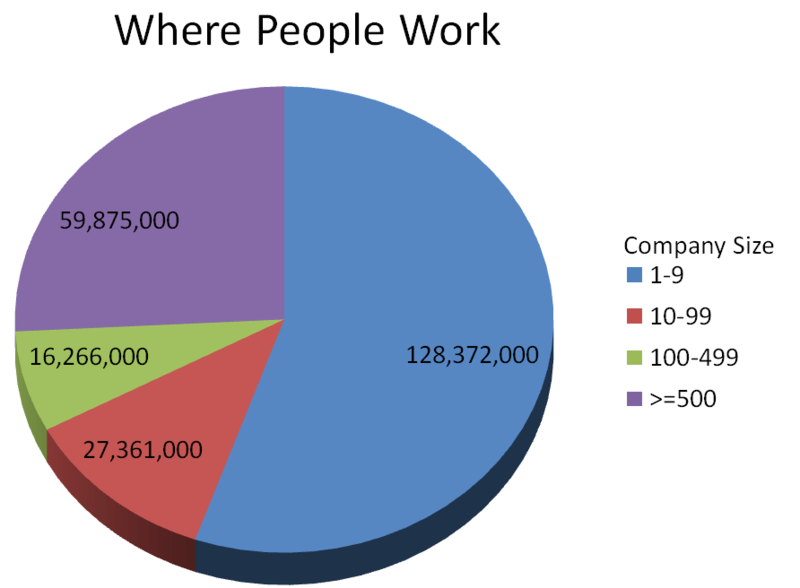 With more employees, there is more duplication of efforts and abilities. With more employees there is rarely just one person, who is the only person, who can complete certain tasks. 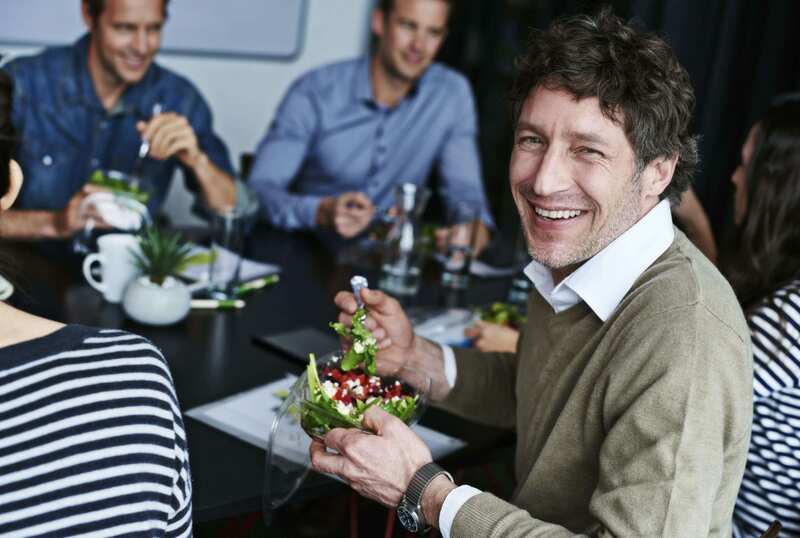 Perhaps one of the most important outcomes of an effective workplace wellness program is its ability to reduce employee absenteeism due to illness. In 2001, I published a comprehensive review of every study ever completed on the ability of worksite wellness programs to reduce employee absenteeism. Since then we have learned that the return on investment for reduced absenteeism is many times larger than the return on investment for lower healthcare costs. Development of new technologies, web-based approaches, and the ability to communicate via mobile devices has greatly reduced the cost of effective wellness programs. The WellSteps small business solution that is described in the published research at the beginning of this blog costs less than $100 per employee per year. What used to be an employee benefit for only the largest and most powerful corporations is now available to small businesses and at an affordable price. Published scientific research shows that small businesses can use worksite wellness programs to improve employee behaviors and lower elevated health risks. The staggering number of small and mid-size businesses in the United States suggests that small business wellness has the potential to touch almost every working adult. For all of the reasons described above, it’s likely that the number of small businesses doing wellness will increase dramatically. To show you exactly how this can work in a small business, the Wellness Councils of America published a white paper on the wellness efforts of one small business. 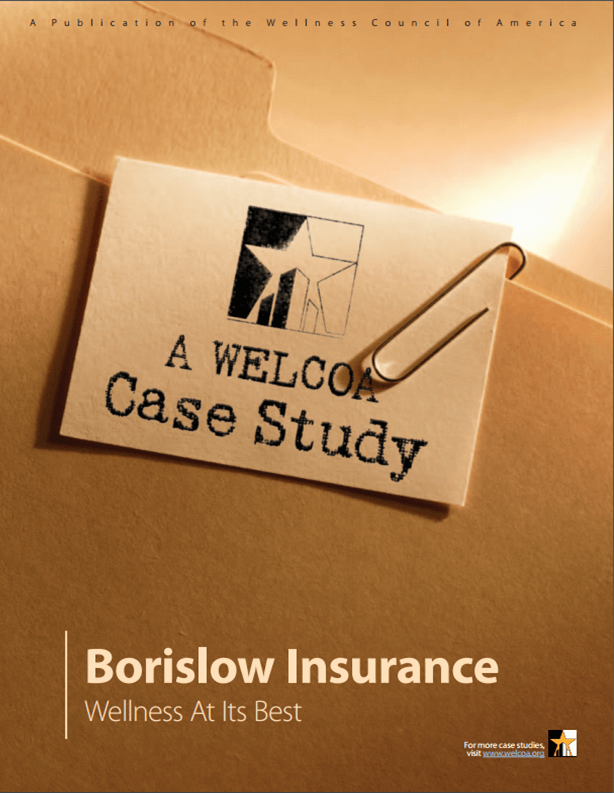 With just 22 employees, the Borislow Insurance Agency was able to make worksite wellness a key business strategy within their organization. You can read the case study here. I have a medicine and functional medicine practice. I would like to offer small business wellness in my community. Is there anyway I could purchase your program. Would you train my staff and myself?